Wheel choices include 6" polyurethane (non-marking) or 6" mold-on rubber (smooth rolling). All trucks have 2 swivel and 2 rigid casters. 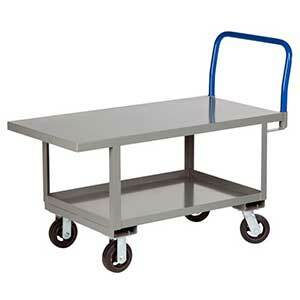 Platform surfaces come in 12-gauge steel or 1/4" hardboard over steel.